More than one thousand men from Finland participated in the Russian-Ottoman war in the Balkans 1877–1878 as soldiers, officers and civilians of the Finnish Guard. Several participated also as commanders, officers or soldiers in Russian troops, among them Casimir Ehrnrooth, A. von Alfthan, Hugo Schulman and Victor Tuderus. The Finnish Guard was a late arrival in the war and participated only in one larger battle outside the village of Gorni Dubnik in October 1877 in Bulgaria. The war was the first in which a larger group of people from Finland participated. 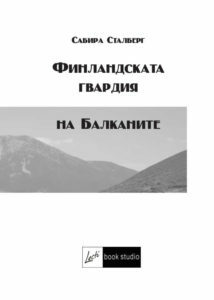 It was the first journey abroad for many soldiers and their stories about the Balkans are often influenced by the confrontation with a completely different world. Sabira has travelled the whole way in the Balkans, where the Finnish Guard and other participants in the war visited. She has initiated support projects for the villages and places. Support the places in Romania and Bulgaria where the Finnish Guard and other people from Finland stayed. The Finnish Guard made a unique journey to the Balkans during the war 1877-1878. The Guard participated in a battle at the village of Gorni Dubnik and marched over the Balkan Mountains in terrible winter weather. The heroic feat of the Guard has been admired for more than a century, but what did the reality look like? 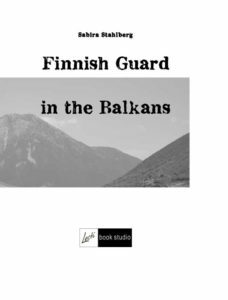 Author Sabira Stahlberg has for several years travelled in the Balkans and researched the adventures of the Finnish Guard. The book is a rich description of a time in history, which changed the life of millions, and the meeting of people from the North with a completely different world. Documentary film “Finnish Guard in the Balkans” tells about two George Ramsays. In the autumn of 2012 George Ramsay Jr. journeyed in his famous great-grandfathers footsteps to Bulgaria and discovered an important part of Finnish history. Director is Tonislav Hristov. The letters of General George Ramsay and his English wife have been dramatized and the manuscript is written by Sabira Ståhlberg. The documentary was shown in Seportaget, Yle Fem at Finnish national TV in 2013.